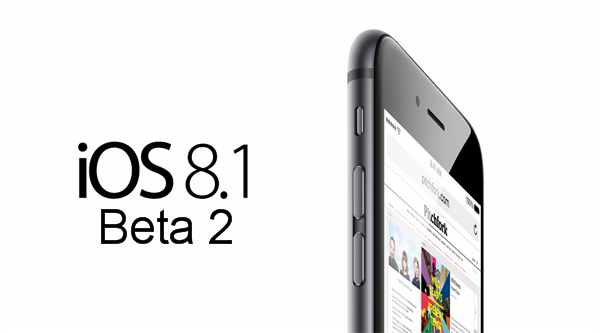 iOS 8.1 Beta 2 is now available for download. This new beta comes in only a week after Apple released first beta for supported iPhone, iPad and iPod touch devices. iOS 8.1 beta 2, which has been given the build number 12B407, contains bug fixes and improvements as per the release notes via the iOS Software Update feature, although with a OTA file size of 56.8MB, there’s perhaps a little more to the second beta than Apple is willing to divulge. As developers begin to dissect and scrutinize the latest beta, we’ll surely learn a great deal more with regards to what’s in store, although thanks to numerous reports and insight gathered through the initial iOS 8.1 beta, we already have a fairly solid idea of what to expect from the end user release. For starters, the much-lauded Apple Pay feature should be deemed ready for prime time, allowing iPhone users to use contactless terminals to pay for goods without the need for credit or debit cards. It’s an implementation that looks set to change the game, and finally breathe life into an NFC payments infrastructure that has yet to properly take off, and with Microsoft founder Bill Gates having expressed his appreciation for Apple Pay this week, the Cupertino will be looking to deliver on the growing anticipation. iOS 8.1 will also patch a ‘date trick’ loophole that, in fact, is more widely-used than we’d perhaps assumed. Moving the device time back manually has enabled various banned emulators to run on Apple’s mobile software, as well as some other apps. There’ll be none of that from iOS 8.1 onwards though, with beta diggers having already confirmed Apple’s patching of the loophole, but while this is a bit of a downer, the fruit company seldom lets these unwelcome apps thrive for too long. 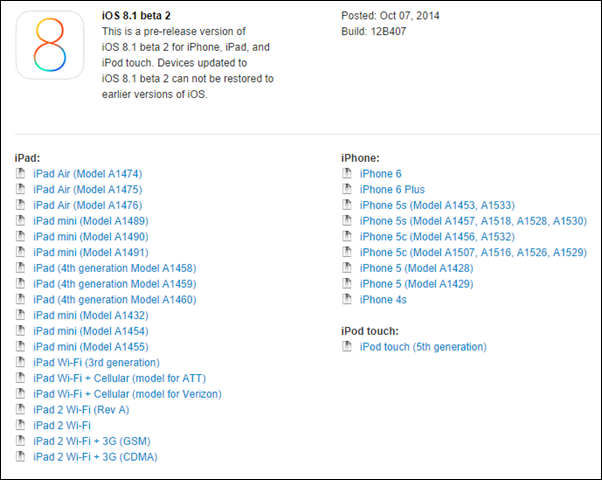 You can download iOS 8.1 beta 2 from iOS Dev Center right now. If you are already on beta 1, you can update to beta 2 directly via OTA from Settings –> General –> Software Update. We’ve downloaded and are having a look through the new firmware as we speak, and should we stumble across anything interesting, we’ll be sure to share with you guys right away. Apple Pay? Please. I would love to try it before the general public. Do you live in the States? Because i believe stores have to intergrate the hardware and that is not even close unless they already had and i havent seen it!